Mid-Life Cruising!!! : A Loose-Footed Sail! We have a loose-footed main sail, meaning it is only connected to the boom at the front and back. Before we started working with Robin on our sail pack, I had no idea that sails attached differently to the boom. When Robin asked how our main sail was attached ... I looked at Ken. I just never really paid attention! Only then did I realize that our main sail was different from some sails, and that our main sail was called a "loose-footed main". Our sail is attached to the boom only at the front and back (tack and clew), and you can slide your hand between the boom and the sail. After realizing that there are different types of main sails, Ken and I wondered what the advantages/disadvantages were to having a loose-footed main. In researching the difference between the sails, I learned that other main sails may be attached with a "bolt rope" or with slugs attached to the boom's track (similar to mast). Our sailboat has a track in the boom, so we can have either type of sail. One of the advantages to having a loose-footed main is a better sailing performance, with more draft for light airs and downwind. Evidently, loose-footed mains were first used by racers, but now the majority of new sails are loose-footed. This may explain why we have a loose-footed main, since the previous owner of Nirvana used to race the boat. Also, this may explain why the past few times we've sailed with friends we've left them behind! We knew it had nothing to do with our knowledge or experience, since we have virtually none. 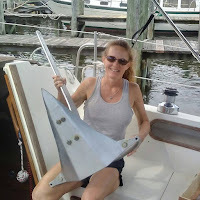 Other advantages are an easier removal/installation, easier reefing of the sail by tying it to the boom, and easier ability to trim with less friction. 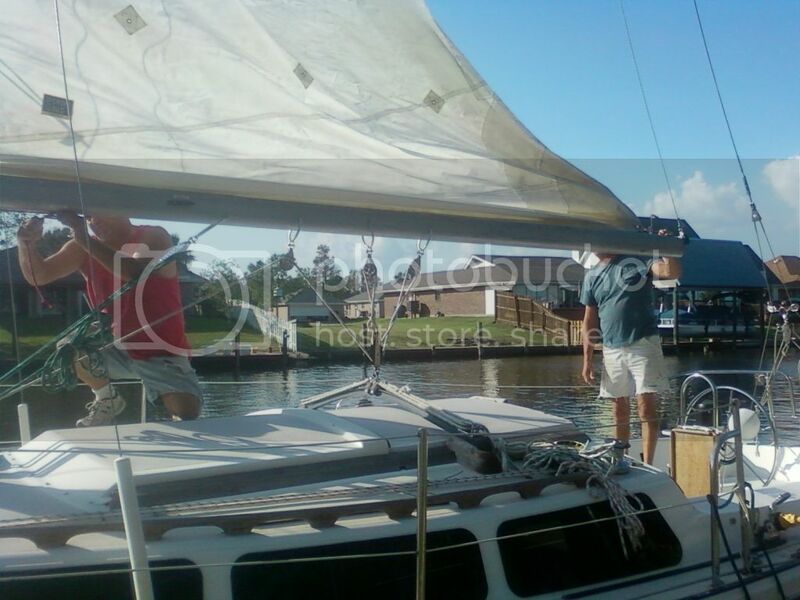 By the way, we had a difficult time finding a solution for attaching a sail pack to a loose-footed main. We decided to take advantage of the track in our boom and have Robin add slugs to the bottom of our sail pack. The slugs on the sail pack will slide into the track. I'll have more details on this in a future post. So there you have it ... the definition and advantages of a loose-footed main sail. If you didn't know before ... now you do! BTW, I recently wrote a helpful post about the parts of a main sail ... check it out! Able to travel freely and do as one pleases due to a lack of responsibilities or commitments. Sounds like a great name for a sailboat! We're not footloose yet, but we're sure working on it! We have a main that uses slugs in the boom and I have to say I really wish we were loose footed. The slugs sometimes bind up just like slugs can do when raising a main. Its also harder to adjust outhaul tension. Really the only advantages I see over a loose footed main is that our main will not "fall" off the boom quite as much and in the event of the tack or clew grommet tearing, the main won't jump up into the air wildly. However, that is super unlikely and I'd much rather go loose footed. Changed mine to loose footed last year. I've had both sorts of sails. Attached flakes a little better, loose foot gives a better shape and faster adjustment, particularly for the racer. Who knows about the end-plate effect. As a racer, loose foot, as a cruiser, I don't really care. I've been watching your progress. My main is going, so I'm going to need a new main... and cover. I was not familiar with loose footed sails before, so thanks for posting this. Our main is definitely attached to the boom. Regarding twisted rigging, got to hate those swivel blocks. The twist in our rigging, which is new this year, was due to the combination of swivel blocks and twisted lines. I unthreaded the lines, put, untwisted the line and kept untwisting until it lay flat by itself, then rethreaded it. So far, it has stayed straight but I think it's only because I am now a freak for making sure the line doesn't get twisted when in use. I think we're going to replace the block for the mainsheet with one that doesn't swivel. Great information, thanks. I never knew I'd need to be aware of different types of mainsail fittings like this. Makes me glad I'm doing all this research now. I've got three years until I take off..looking forward to it all. 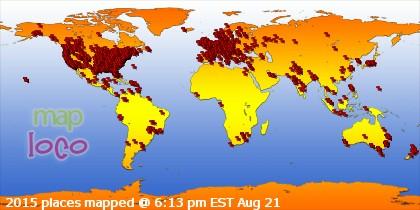 Thanks Drew and LCP for the info on the blocks. We (Ken) will have to change those swivel blocks, as he's tried to fix that twist a few times.